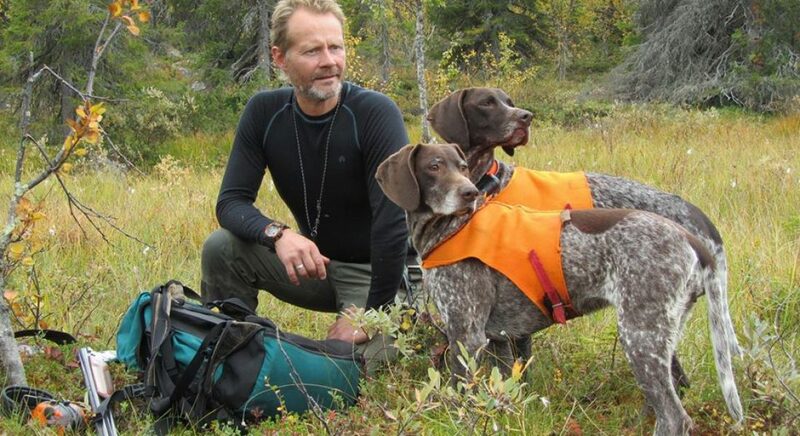 One of the most long serving and experienced team members at Brändön Lodge is Roger Nilsson. His quiet and relaxed manner belies the focused and passionate person underneath who clients regularly refer to as the highlight of their stay. 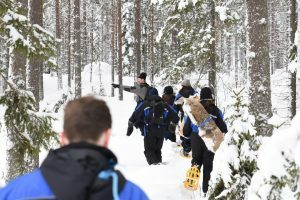 Having an outwardly calm exterior, even under the trickiest conditions, comes from years of experience and expertise in the outdoor activities that he is so adept at. How he came to this happy place is a winding and fascinating road. Living an active and healthy life has left Roger looking years younger than his licence suggests, not withstanding a few niggles from an old hockey injury. 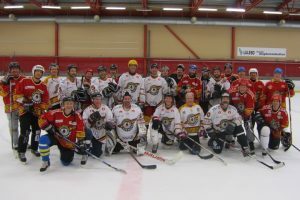 This active life started back in his teens as an under 18’s player for Luleå Hockey. This is elite level hockey for those not familiar with the sport and this led to him playing second division in Västervik in southern Sweden. Today Roger still enjoys playing hockey socially with old friends. 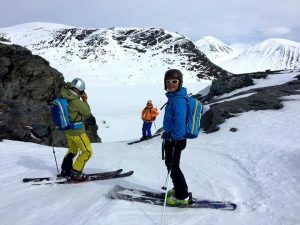 In the 90’s and early 2000’s Roger was spending time each winter in the mountain ski resort of Riksgränsen as a mountain and snowmobile guide. Over the subsequent years he has also developed a variety of additional skills working in the building industry and as a carpet layer, roof tiler and stone layer. 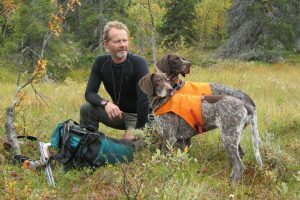 Hunting the vast forests and in the mountains of Swedish Lapland has always been a passion for Roger, even from a young age, and in the early 90’s he joined hunting trips to Canada. Today Rogers remains a passionate hunter and his two hunting dogs “Wira” and “Flinga” who follow him to work and who are often a favorite of the guests who meet them. 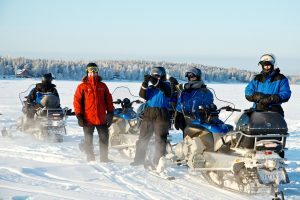 Some 8 years ago Roger started as a head guide at Brändön Lodge and remains motivated and positive force in the company to this day. 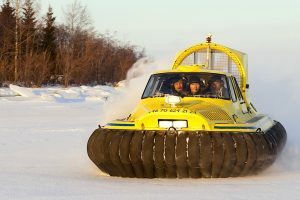 His inspiration, he confesses, are the happy people that we get to meet from all over the world and the opportunity to work out in nature and in particular snowmobiling which has always been a passion. 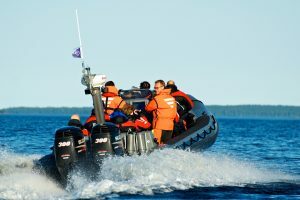 Our nature guides of course play an important role ensuring our guests safety and enjoyment across multiple types of activities. In addition, in all of our experiences, Roger and the other guides focus on teaching guests about the fantastic nature that surrounds us as well as the culture and history of the region. His work is indeed varied and we have been through the archives and found some photos of Roger doing what he does best. 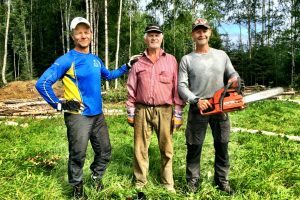 Over the past few years Roger has been very busy in his spare time building his own timber cabin a short snowmobile ride from Brändön. 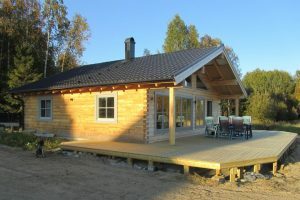 A good deal of the work he has done himself and it is a testament to his outdoor nature to build his own home in the forest. Cabin well underway and the internal fitting and landscaping commenced. 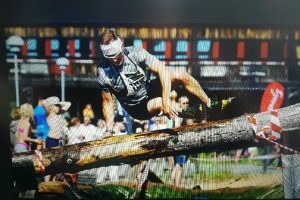 Finally, for a fun and interesting weekend, we recommend watching Roger and his brother and a number of other fitness fanatics compete in the annual multisport fitness challenge, held in Luleå each year, called Tuffa Timmen. This year it will be held on the 11th of August at Klubbviken. In this short essay we only had time to scratch the surface of Rogers story. 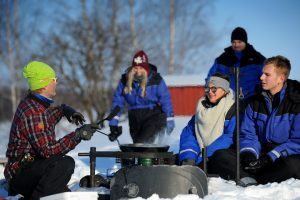 You are most welcome to come and stay with us at Brändön Lodge or Pine Bay Lodge and spend some time with Roger and our other nature guides. 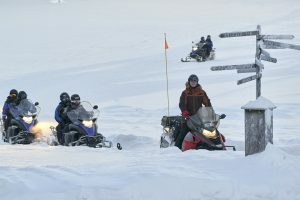 They are a fascinating team who are only too happy to share their stories and their arctic way of life. in order to improve user experience.